DreamVerb, Software algorithmic reverb from Universal Audio in the UAD Plug-In series. 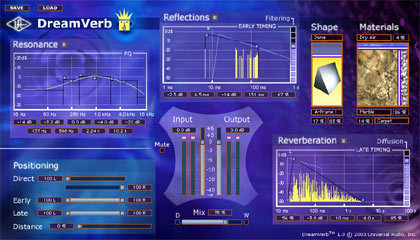 The Universal Audio Dreamverb is a reverb plug-in to be used with any version of the UAD packs offered by Universal Audio. I didn't have issues with any part of the installation process or otherwise - the plug-in has done exactly what I wanted it to do from day one. I find that the interface of Dreamverb is pretty user friendly while at the same time there are a ton of parameters to work with to get all sorts of different sounds. The plug-in has sections for resonance, reflections, positioning, reverberation, shape, materials, and a section for your master levels. Each of these sections has its own parameters to work with, but it would be a bit redundant to list them all here. All you should know is that there are a lot of parameters to work with here to get all sorts of different reverb tones. I've never seen the manual for Dreamverb so I can't say anything about its make up. If you don't have a UAD card of anytime, you won't be able to run Universal Audio's Dreamverb plug-in. If you do have one, of course you know that it will take care of all the power in terms of running the plug-in. They say that the card will support up to six instances of the plug-in within a single session, but I would imagine that you could do more if you so wanted. However, I've only run a few of them at a time since I use reverb plug-ins on an aux channel to save processing power anyway. 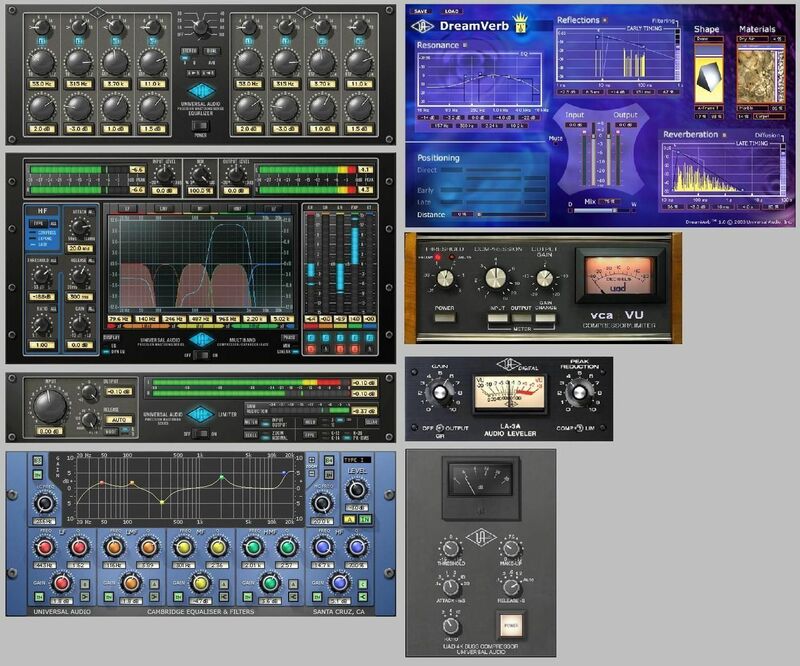 While I don't know a UAD card for my home studio system, I have run sessions on a system that does and that runs Universal Audio Dreamverb as well as a number of other UAD based plug-ins. I have to say that in general, I think the UAD cards are great as they really help to save processing power and is perfect for those running anything less than a Pro Tools HD system. 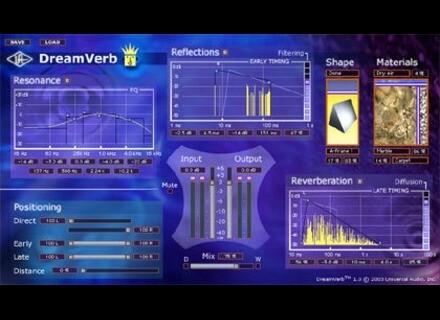 In terms of sound, Dreamverb seems to have endless amounts of varying tones. All of the effects are high quality and just about as realistic sounding as you can get from a plug-in. If you have any interest in this plug-in or the UAD card and pack, I'd definitely encourage you to explore this curiosity as I believe you'll be quite pleased with what you see. DreamVerb the book was put in a day of plug ins, everything goes by .. ... Next Next Next. We have even installed a second card UAD 1 on our PC and it works very well. really does not affect the use of this type of effect. We have these cards possible on our "old" PIII 1Ghz with an ASUS and a RME 96/52 "old generation" and not worry ... it must be on free and not IRQ conflicts ... the routine of computer music. The PC serves as our table mix, and we journalists' Monitor FULL!